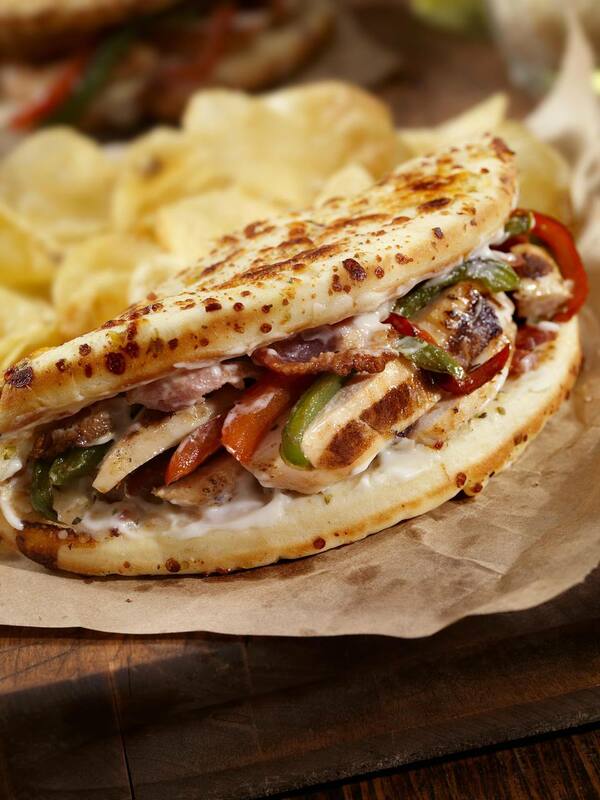 These chicken breast sandwiches are topped off with grilled roasted bell peppers and a flavorful herb aioli. A great go to recipe for a quick weeknight meal. 1. Pound chicken breasts to an even 1-inch thickness. Cut each breast into 2 equal sized pieces. Place into resealable plastic bag. Combine marinade in a plastic or glass (non-metal bowl). Pour over chicken breasts making sure they are well coated. Seal bag and allow chicken to marinate in refrigerator for 30 minutes to 2 hours. 2. Prepare aioli by combining mayonnaise, mustard, thyme, olive oil, salt, and pepper. Cover bowl with plastic wrap and store in refrigerator until ready to use. 3. Wash, dry and cut bell peppers in half. Remove stems and seeds. Cut into thirds and brush oil. 4. Preheat grill. Remove chicken breasts from bag and discard marinade. Grill chicken breast over a medium heat for about 5 to 6 minutes per side. Check for doneness (internal temperature of at least 165 degrees F.) before removing from grill. Remove pieces and place onto a plate. Tent with foil to keep warm. 5. Place bell peppers pieces onto grill and cook for 2-3 minutes per side. Watch for burning. Peppers should be tender but still contain some crunch. Remove from grill and let cool for a few minutes before slicing into thinner strips. Cut chicken into strips. 6. Assemble sandwiches while the chicken is still hot. Place chicken in warmed buns or wraps. Top with aioli, tomatoes, grilled bell peppers and arugula leaves.